I have ethnic hair (dry, course, and curly). As I've gone through menopause I've been losing large amounts of hair (male patterned baldness) and my hair strands have became very thin and fragile. I found I was allergic to any Minoxidil product. I was then advised to use a Co-wash product instead of my usual shampoo and conditioner. I have found that "As I Am CoWash" has reduced breakage and my hair, while not yet showing regrowth of my already lost hair, is shining and snarl free. I am hoping, because my hair is not as stressed as it was before, that my hair loss will at least slow. My hair looks and smells great! I will continue to use "As I Am CoWash". I've tried a few CoWashes, and I always come back to this one. It's hands-down the best one I've used on my natural 4a/4b hair. It not only does an excellent job of cleansing my hair and scalp but it defines my curls/coils very nicely and reduces almost all frizz (as long as I don't manipulate my hair too much after washing). The shampoo/conditioner combo just ruins my curl pattern but this does just the opposite! I love it. Plus, the container is a great size and lasts for quite awhile. It can be a pain to scoop it out in the shower, but it's worth it since it's so effective. Even my husband likes this. He tried it once and he was using it several times a week in the shower and used up most of it. It smells sweet, like coconut, and has a nice, creamy texture. It doesn't lather (since it's a cowash), but rest assured, it's doing a better job than any lather could! 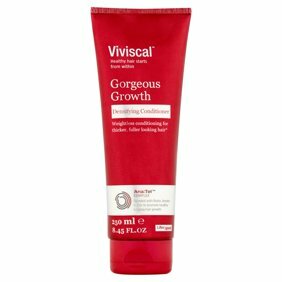 I was looking for a product that would work with my hair texture and this product more than fit the bill. I love it.